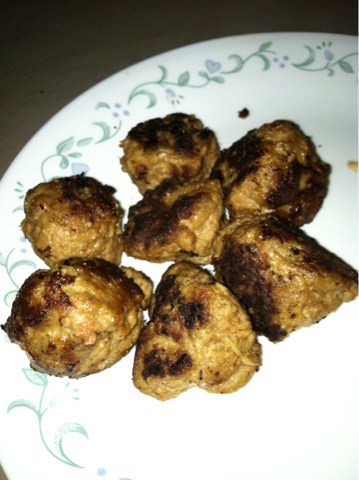 I made turkey meatballs for dinner. It turned out o.k. It has onion soup mix, bread crumbs, egg, and a little ketchup in it. So afterwards my husband asks what's for dessert. 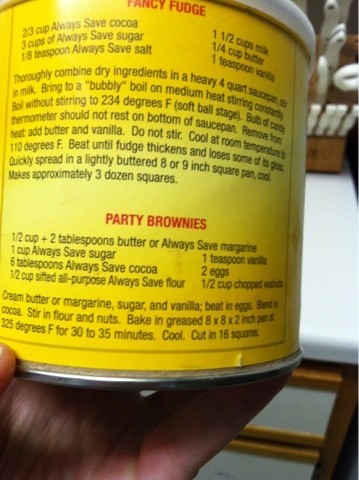 I am in the mood to make brownies. I found a recipe on the back of the baking cocoa container. The original recipe had nuts in it, but I substituted chocolate chips. We will see how it turns out.